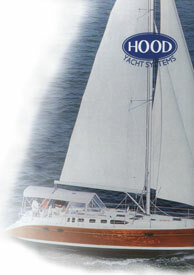 Today, Hood Yachts Systems is part of the Pompanette family of companies, imbued with a new entrepreneurial spirit. Our sister company, Bomar (the world's foremost producer of hatches and portlights) has given us the resources to design and manufacture an outstanding array of hatches and portlights for the sailing enthusiast. Whether you purchase a sail control system or another piece of marine hardware, you can count on Hood to use only the highest grade materials and exacting production methods. With production and distribution bases in Florida and New Hampshire, we are at the heart of the marine industry. You will find Hood Yacht Systems dealers anywhere in the world; contact us and we will refer you to the dealer nearest you. In addition, you are never far from service and support, because Hood dealers are located at every yachting center around the globe. Our concept is to develop reliable sailing handling systems that last season after season, and produce hatches and portlights that provide generous ambient lighting and ventilation while standing up to the harshest environment conditions with grace and integrity. 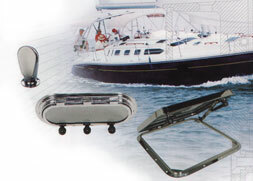 Our marine accessories are designed and manufactured to the highest standards, reflecting our philosophy of providing unsurpassed quality for a reasonable price. Send mail to pompanette@pompanette.com with questions or comments about this web site.